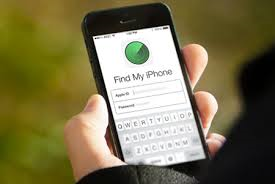 Whether it’s lost or stolen, your iPhone will do everything it can to facilitate a happy reunion with you. As long as you help. The most important thing you can do to find your lost phone happens long before you lose it. You need to go into Settings, tap your Apple ID at the top, tap iCloud, tap Find My iPhone, then make sure Find My iPhone is turned on. If it’s not, then there’s nothing your phone can do to help you find it. We’re sorry for your loss. Instead of reading this story, you might want to start deciding which new iPhone is for you. If you already have Find My iPhone turned on, you’re in luck. Follow these steps, and while we can’t guarantee you’ll be reunited with your phone, we can guarantee the best chances of doing so. 1. Go to icloud.com/find on a laptop or desktop. (You can also go to the Find My iPhone app on your iPad if you’ve signed in on it with the same Apple ID.) Sign in with your Apple ID and password. 2. At the top of the screen, click “All Devices” to see a list of the Apple products you own and have permission to track. Then click on the icon for your phone. 3. If your phone is on, you’ll see its current location on a map. If that location is close to you—say, in your house—click “Play Sound.” The phone will play a loud sound and vibrate for the next two minutes so you can track it down. (If your phone is powered off, the sound will play as soon as it’s turned on, though that doesn't help you if your phone is out of power while it's lost). 4. If the phone is not near you or not powered on, activate Lost Mode. This locks your phone immediately (or the next time it's turned on). It suspends Apple Pay, so if your phone is in the wrong hands, those hands can’t access any of your messages, contacts, credit cards, or personal information. Lost Mode also allows you to display a message and your contact information on the lock screen. 5. The last step—to be taken only when you think your phone has been stolen—is to erase it. You can do this through Find My Phone. Just know that, once you erase the phone, you’ll no longer be able to track it. And if you remove the phone from your Apple ID, your phone will then be open and ready for someone new to sign on and use it. This same approach also works for your Apple Watch, your Macbook, or—and this might be the most important one, considering how small and easy to lose they are—your AirPods.